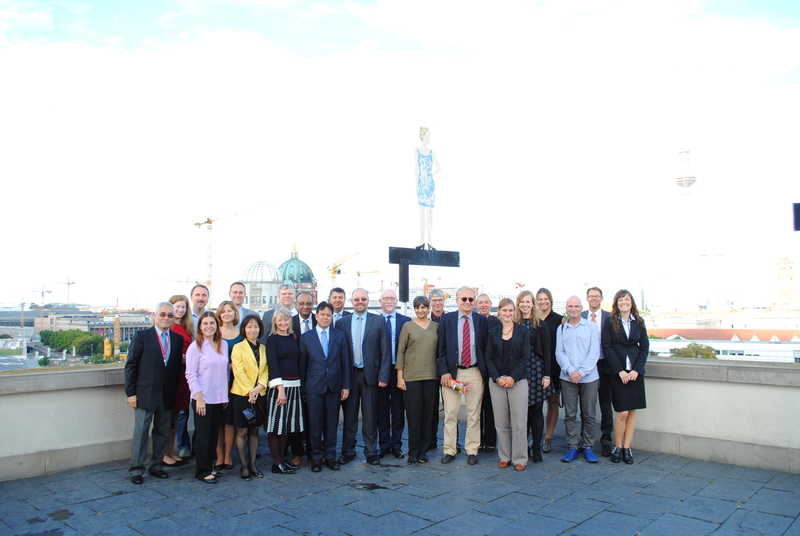 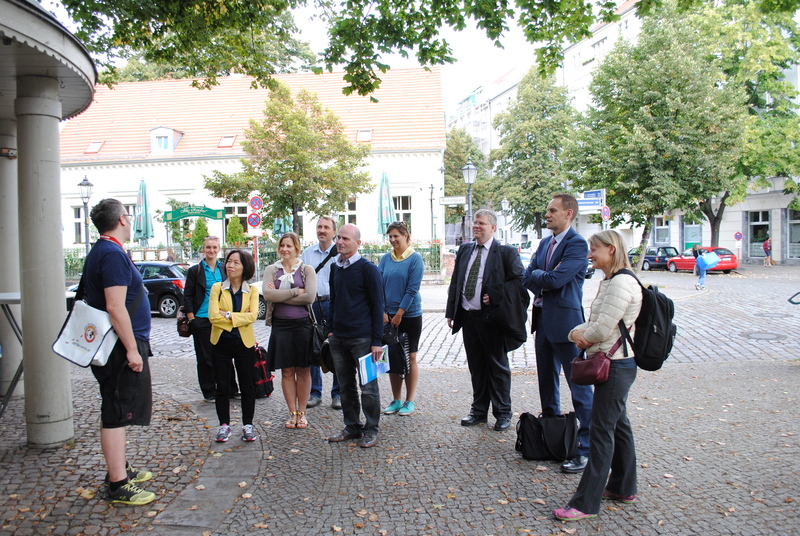 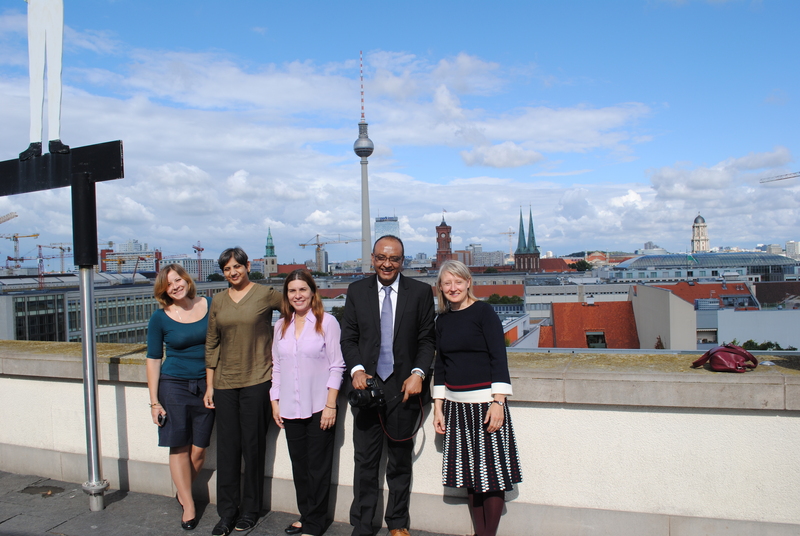 A group of 17 representatives from think tanks, policy and business as well as journalists from various European and non-European countries were invited to Germany as part of the Visitors Programme of the Federal Republic of Germany. 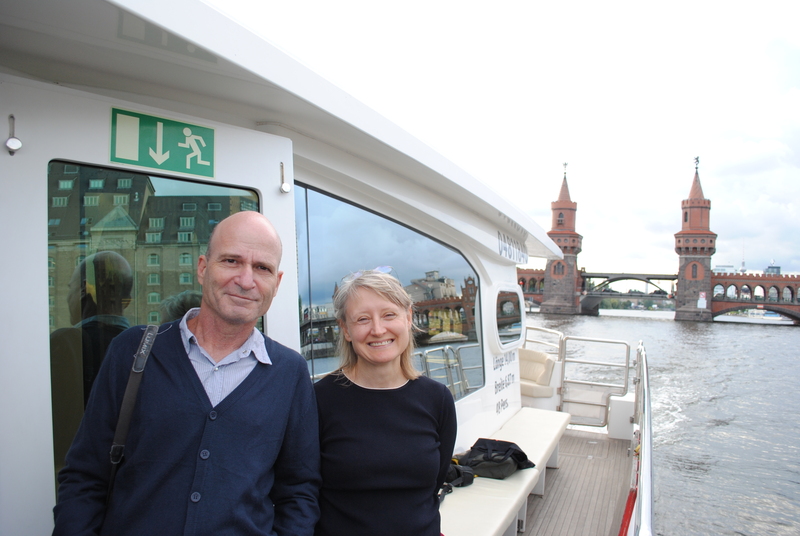 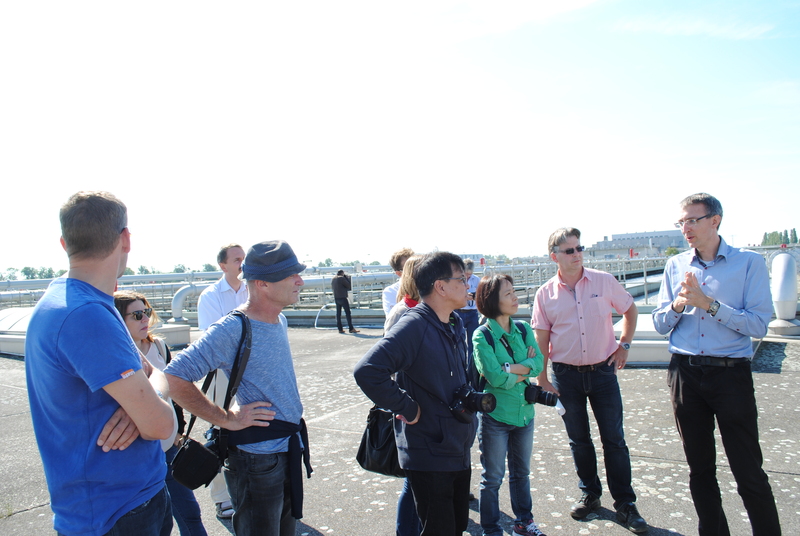 During their stay, the group explored green technologies in the water and resources sector as well as the policies that shaped the legal framework for innovative products and technologies. 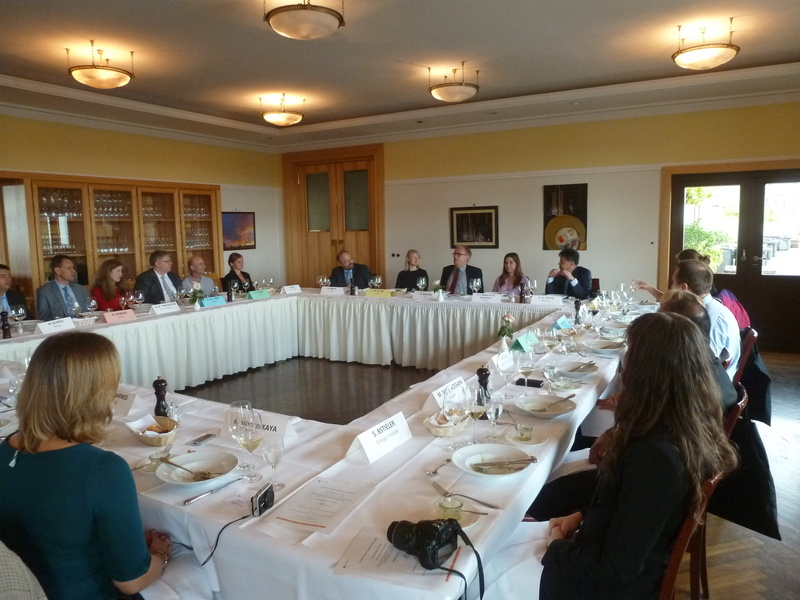 Participants could speak with representatives from ministries, research institutes, think tanks, public-private partnerships and businesses in Berlin, Freiberg and Leipzig. 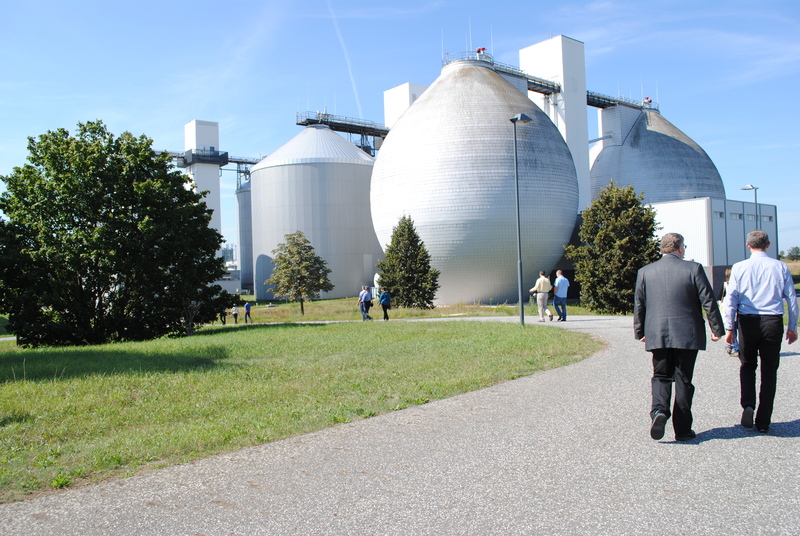 and the German Association of Local Utilities of municipally determined infrastructure under-takings and economic enterprises (VKU) on waste management trends in Germany in the past decades. 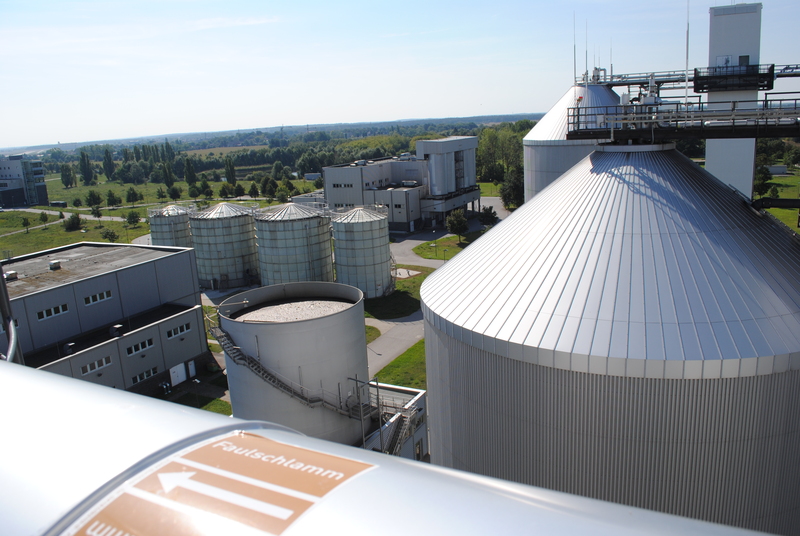 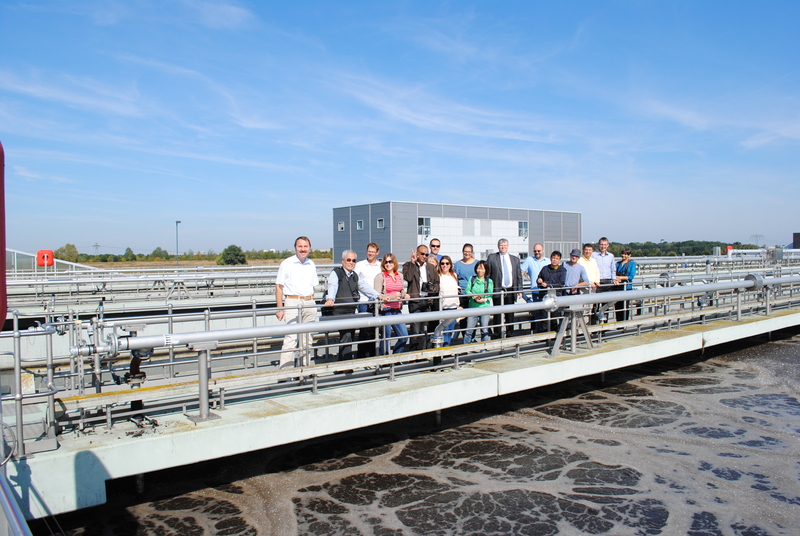 In addition, the group had the opportunity to visit the Berlin Waterworks sewage treatment plant in Waßmannsdorf, which is special for its phosphorus recovery technology. 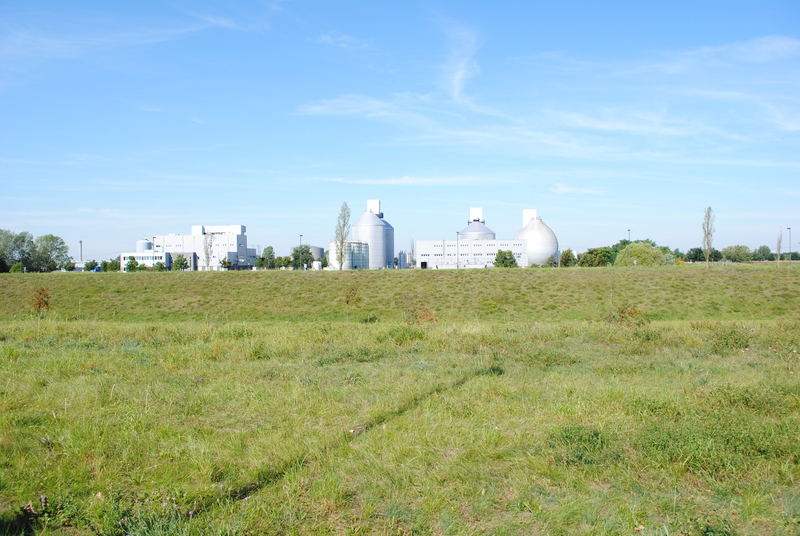 The process supports ecological relief for rivers and lakes and at the same time extracts raw materials. 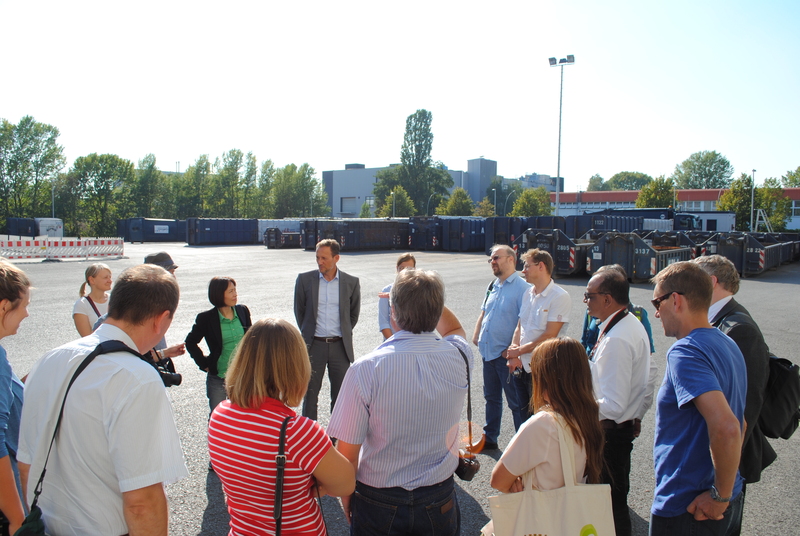 The group also visited the ALBA Group's MPS facility. 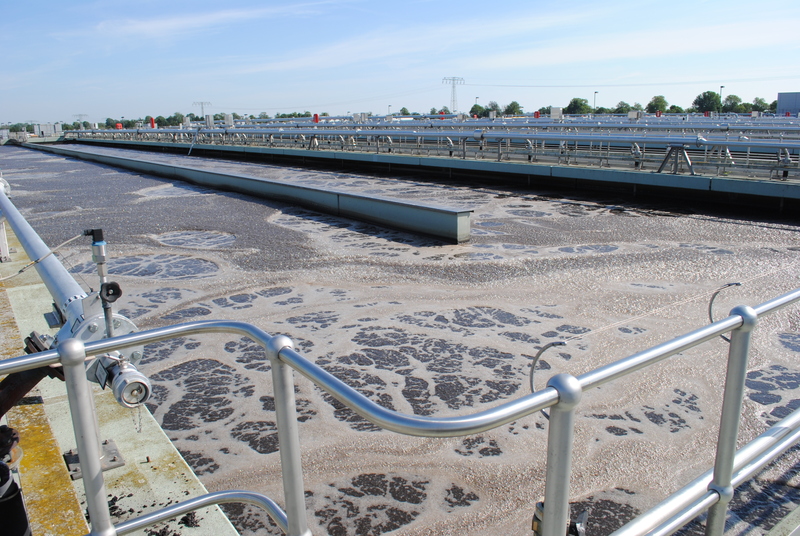 MPS stands for Mechanical Physical Stabilization, a sophisticated process for the treatment of residual waste that is both environmentally friendly and refines waste into fuel for further use. 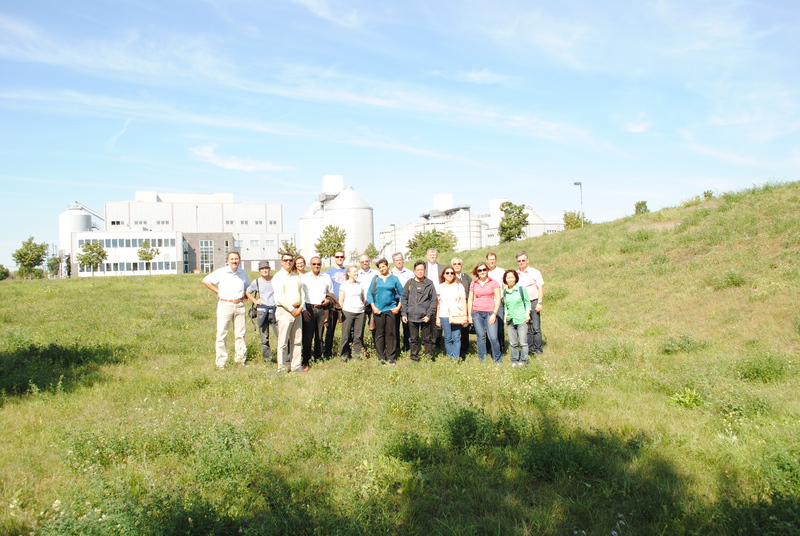 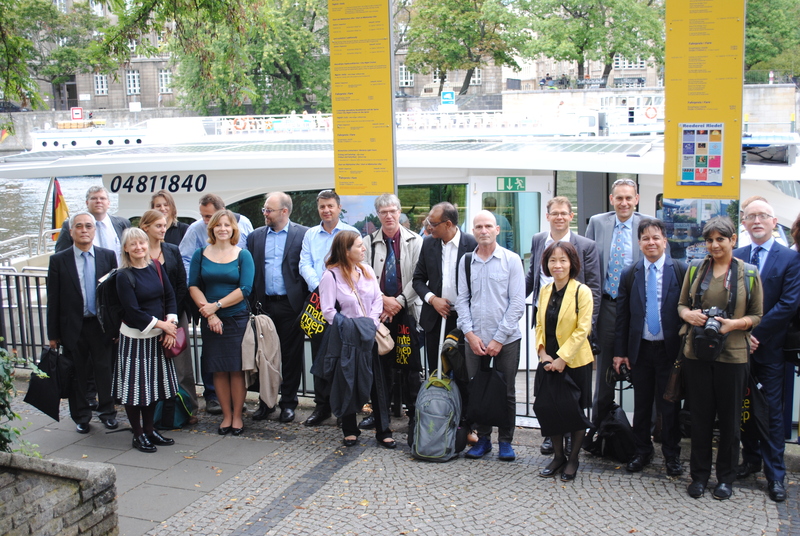 In Freiberg, the group visited the laboratories of the Helmholtz Institute for Resource Technology (HZDR). 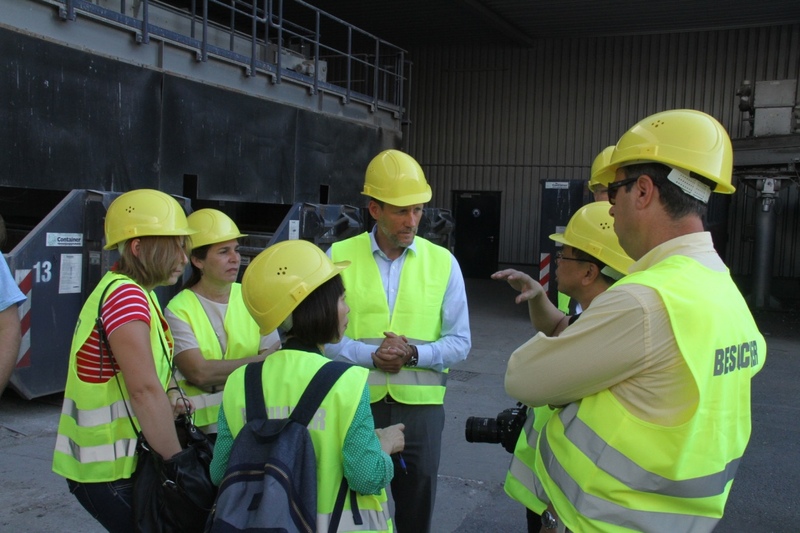 The HZDR conducts research in resource technology and develops innovative solutions for the efficient use of raw materials. 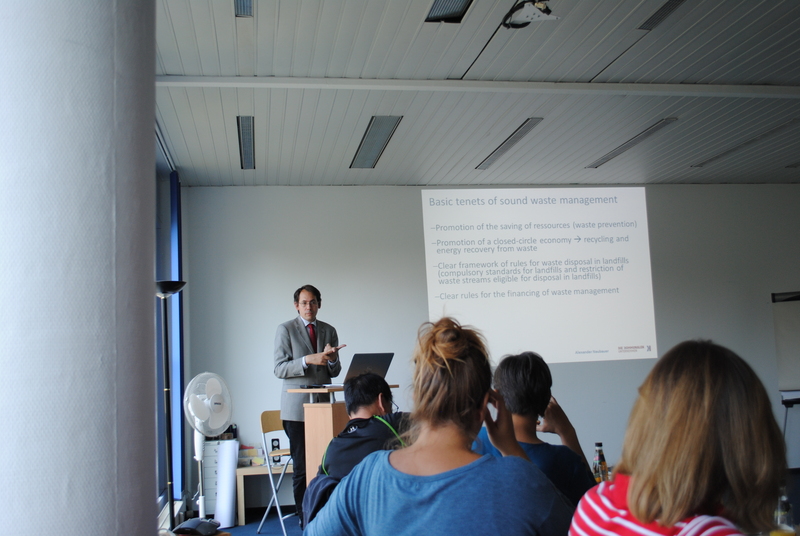 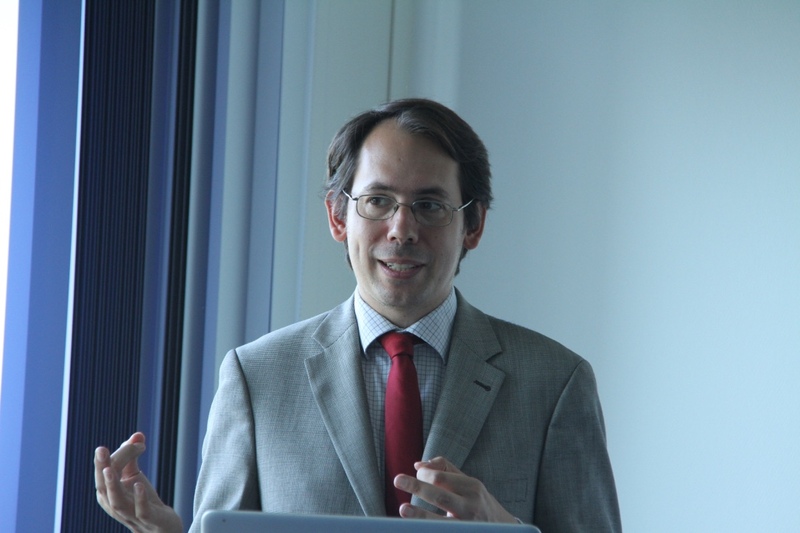 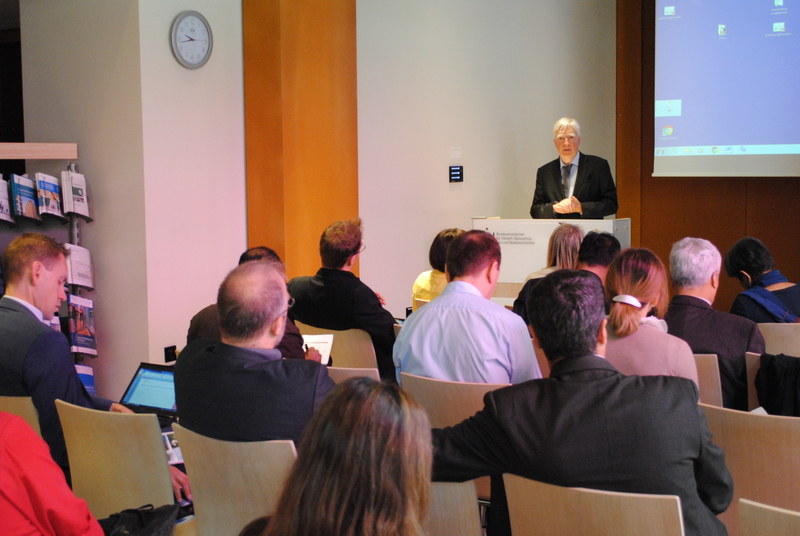 At the Helmholtz Center for Environmental Research (UFZ) in Leipzig, the focus was on industrial networks as well as the transfer of knowledge and technology. 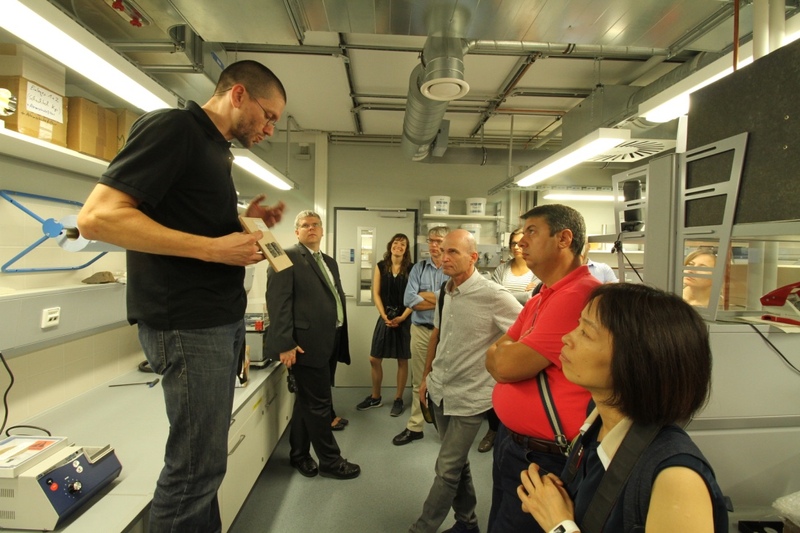 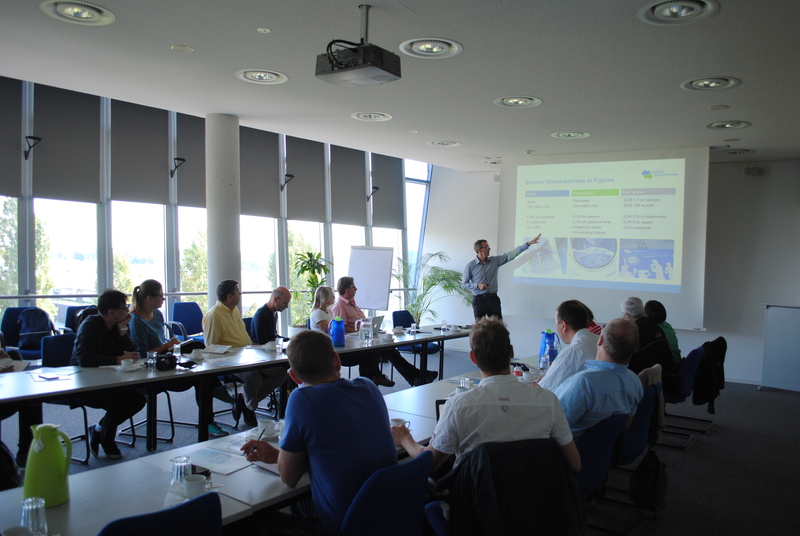 In addition, scientists of The German Biomass Research Center (DBFZ) and the Department of Solar Materials (SOMA) provided the group with insight into their work. 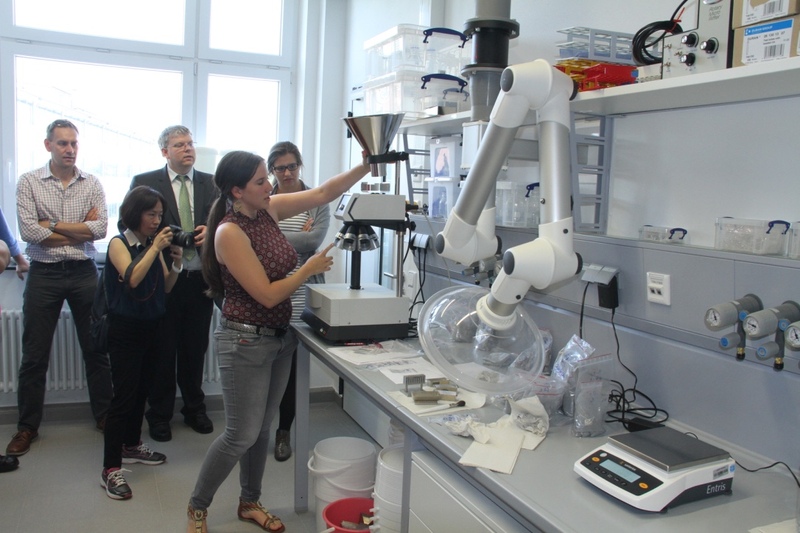 The program was sponsored by the German Federal Foreign Office and organized by Ecologic Institute in close cooperation with the German Embassies. 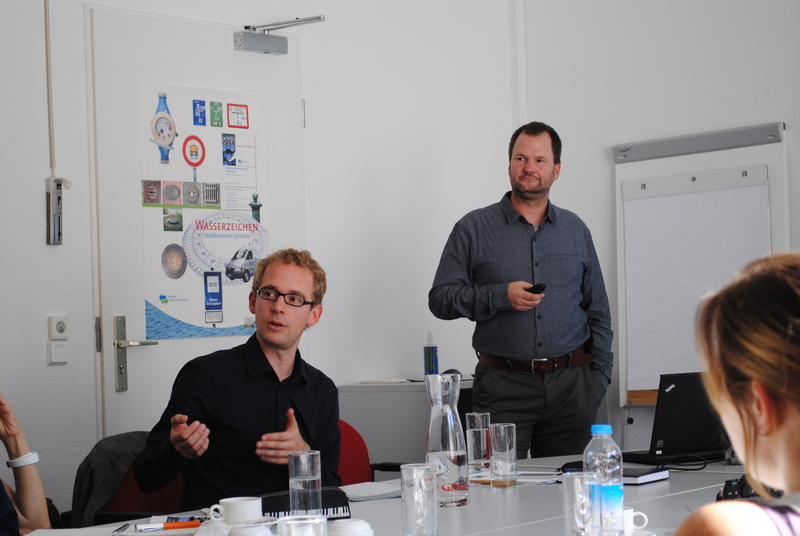 Dr. Ulf Miehe and Dr. Christian Kabbe in the "Kompetenzzentrum Wasser Berlin"